The much-anticipated new action camera from GoPro has arrived. Like many other competing products these days, the new GoPro Hero 6 Black records in 4K. Outdoor sports loving Kiwis have made GoPro cameras some of the best-selling action cameras in the NZ market. GoPro Hero 6 Black closely resembles its predecessor’s water-proof design. The main differences with Hero 5 Black are faster 4K recordings and the performance boost offered by GoPro’s own GP1 processor. Furthermore, the camera uploads key events called Quick Stories automatically to the cloud using the app and a 5G Wifi connection. There’s also a bit of “home assistance feel” involved as it’s possible to wake up the camera from low-power mode and instruct it to start recording using the voice command “GoPro, start recording“. GoPro claims that Hero 6 Black is twice as fast as Hero 5 Black. The US company has greatly improved transfer speeds to external devices. Hence, GoPro Hero aficionados will likely fall in love with the new camera despite the lack of external differences with previous versions. The camera shoots 4K footage at a rate of 60 fps (frames per second), which is twice Hero 5 Black’s 30 fps. The frame rate at the lower 1080p resolution is six times higher at 240 fps. The camera takes photos with a resolution of 12 MP. 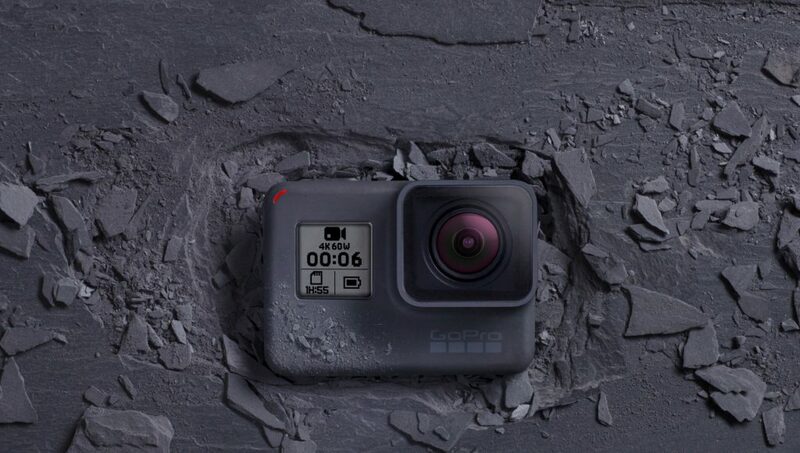 The price listed on GoPro’s NZ site is $849.99. Version 5 launched at a price of $639, so version 6 is more expensive. GoPro is also launching an updated version of the Karma drone. Here’s the introduction video if you’re eager to view what Hero 6 Black is capable of doing.